When you first meet someone, it is a long and arduous process to have to share your phone number, Snapchat and Instagram. Tap, a new social media and contact sharing platform, is looking to change that. 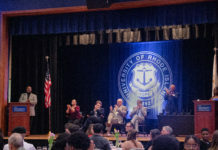 The app allows a person to share their contact information with just a tap of their phone – and it was created right here at the University of Rhode Island. The app is available for both Apple and Android devices, which is free download by searching “Tap Social Media.” Once downloaded, the user loads their name, phone number, and social media handles into the app. Through a short-range Bluetooth connection, they can transfer their information to a friend’s phone. “The average person has about five social medias, and there hasn’t been one mainstream way to connect upon all those social medias, and your phone number, contact information, in a quick and easy way thus far,” said Antonio Melegari, a URI communications studies major and also the chief marketing officer of Tap Technologies. 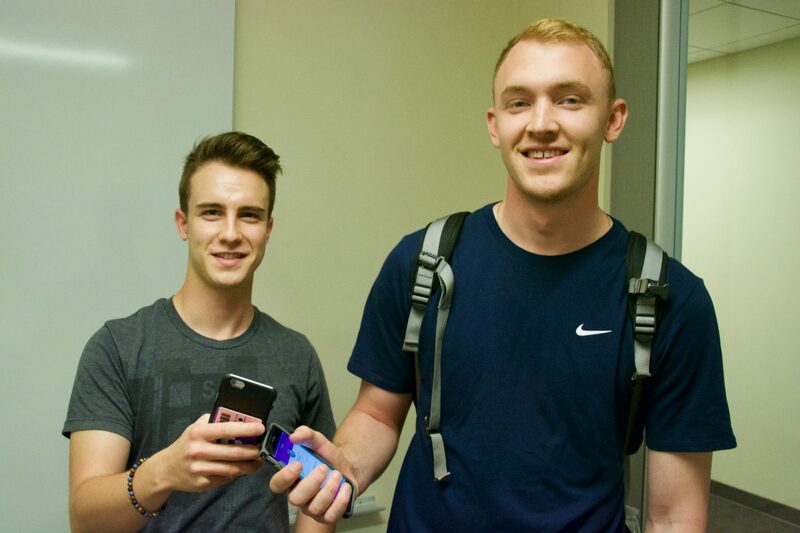 The app will help students to share their information quickly and easily, making for faster interaction in class, around campus and at parties. Many students may be wary of instantly sharing certain information with people they just met, but Tap is consent based. Users have control over not only who they Tap with but what information they send to other phones. Users can toggle through the main menu selecting or deselecting what they want to share. Once two phones tap, it will pull the selected media usernames and transfer them to the second phone. The idea for this app came from Anthony Curreri, Chairman of the board of Tap Techniques. He pitched his idea to his friend, Melegari, who at the time was a freshman living in Hillside Hall. After some collaboration, Melegari brought his roommate, Connor McGill, into the project. Together they founded Tap LLC in March of 2017. McGill soon saw the need for growth and introduced Isaac Caufan and Austin Letson, both students of Georgia Tech, to join the team and work on coding. Together the five of them changed the company from Tap LLC to Tap Technologies Delaware C-Corp. The reason for the switch is that the corporation is trying to raise seed money to continue their growth. Freshman are a key target demographic for the company because of the volumes of people they meet when first starting college. Both Melegari and McGill were in the midst of their freshman year at URI and could see the need for just such an interface. The App now has 1,200 downloads from the App Store. A majority of these downloads have come from URI students over the past week. The company’s plan is to first get all of URI involved with the app, then to expand to the Northeast and eventually the whole nation. Next articleWelcome to the RamFam!